One of the biggest fears about Facebook Ads is knowing whether or not it’s going to work. It’s a risk and a gamble to us as business owners and entrepreneurs if we wrote the right text, selected the right photo, and chose the right audience. I’ve been noticing that there is A LOT of information out there about Facebook Ads. 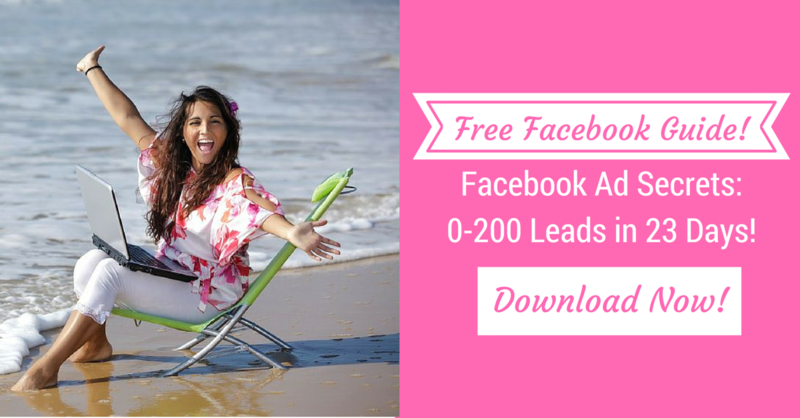 Even I have seen great results (over 200 leads in 23 days!) using Facebook Ads. But no one really talks about how you know if it’s working or what happens when your ad isn’t working.